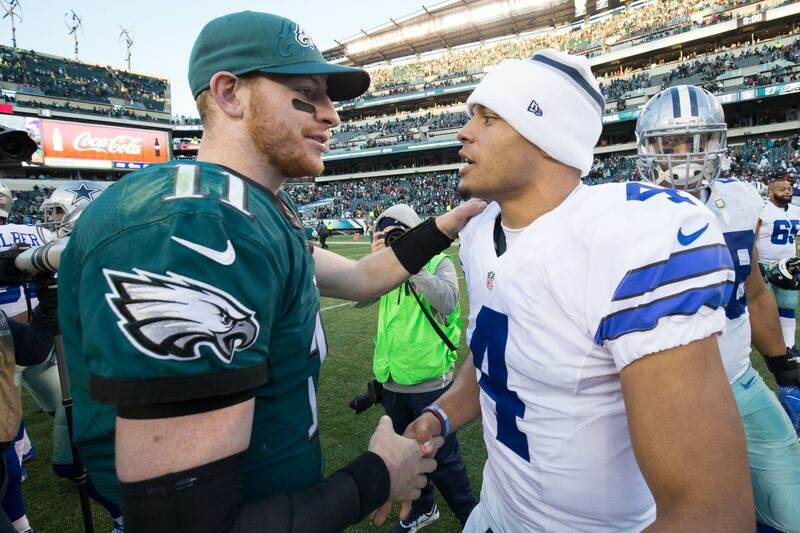 Since the start of the 2014 season, the Dallas Cowboys have won three NFC East titles, have been to the divisional round three times. and have gone 2-3 in playoff games all the while turning over an enormous amount of their roster over the last five years. Roster turnover is normal. We see it every offseason. The amount of roster turnover that's occurred since the 2014 season is pretty incredible. Dan Rogers, of Blogging the Boys put this out on Twitter on Sunday. 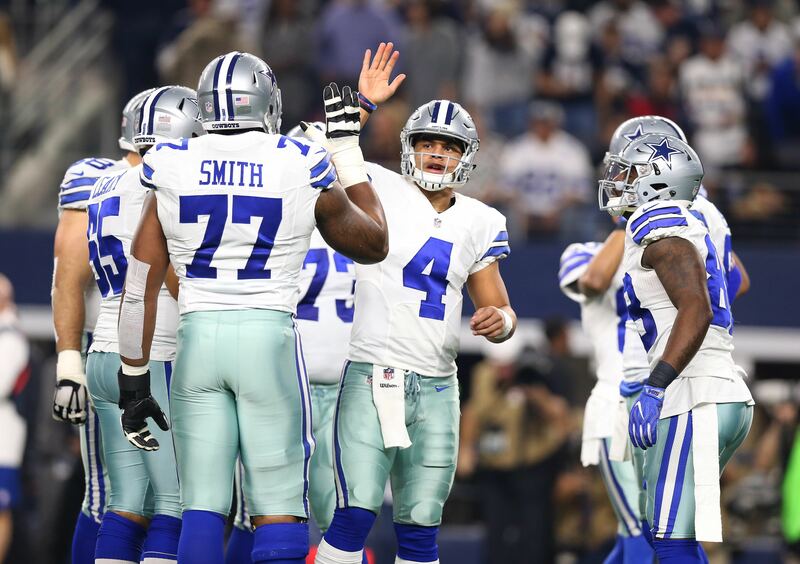 It displays just how much the roster has changed in just five seasons as only two players started all three divisional round playoff games; Tyron Smith and Zack Martin. Not only have the Cowboys won the East in three of the last five seasons, but they've done it with three different teams. Only two players have started all three divisional playoff games. 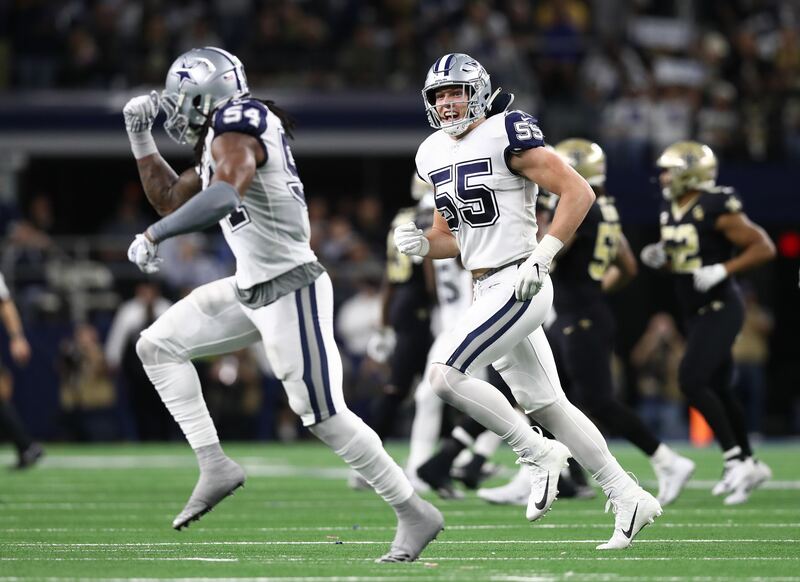 In addition to the above note, only six players who started the divisional game for the Dallas Cowboys in 2016 started for the Cowboys in the matchup with the Los Angeles Rams; Dak Prescott, Ezekiel Elliott, Tyron Smith, Zack Martin, Maliek Collins, and Byron Jones. Tyrone Crawford is the only other player that was available for all three games, though he didn't start the 2016 divisional round game. It highlights the amazing job that the Cowboys have done at building their roster and "rebuilding on the fly." Every year, save for 2015, the Dallas Cowboys have been competitive because they've been able to turnover the roster efficiently and effectively. This team has become one of the best drafting teams in the NFL and will look to add to that legacy this April in Nashville, Tennessee. 18 of the 22 "starters" for the Cowboys this season were draft picks or undrafted free agent (UDFA) signings for the team. 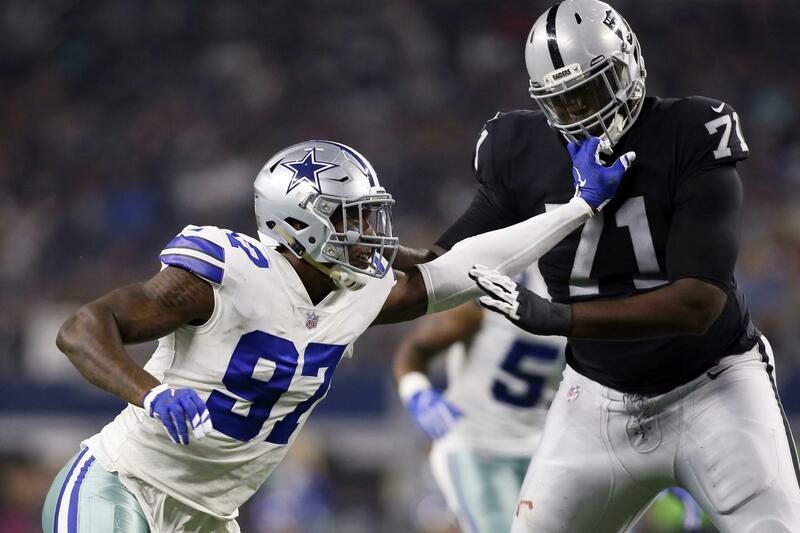 If you include players with a significant role like Cole Beasley, Randy Gregory, and Sean Lee, you see that the Cowboys have done an amazing job at building their team through the draft and have found significant contributions from free agents -- or in Amari Cooper's case, players they traded for -- here and there. Of the top 10 players in snap percentage on offense from the 2018 season, Joe Looney was the only player that wasn't drafted by the Dallas Cowboys. If you look at the top 15 players in snap percentage for the defense, Defensive Tackle Antwaun Woods was the only player that wasn't drafted by the Cowboys. We also shouldn't forget to underscore just how awesome Zack Martin and Tyron Smith are. Their availability has been incredible. Tyron Smith has sat out games each of the last three seasons for various issues, but has always been their come playoff time. Martin had never missed a game until this season when he sat out two related to knee and hip issues. But again, Martin was there in the playoffs helping Joe Looney and Connor Williams deal with Aaron Donald and Ndamukong Suh. We're going to see some turnover this season and there's a chance that a player or two who started the divisional round game this season won't be starting in the divisional round a year from now. If all goes well with Travis Frederick, he'll be back manning the center position in place of Joe Looney in 2019. Randy Gregory could start in front of Tyrone Crawford next season. Gregory will probably add some weight this offseason, now that he's able to practice and work out with the team. Jamize Olawale may not be back and Cole Beasley looks to be headed out the door. And here's hoping the Cowboys are able to land a prized safety. Either Earl Thomas from the Seattle Seahawks or Landon Collins of the New York Giants works for me. The Dallas Cowboys are one of the youngest teams in the NFL and will continue to build their roster through the draft. With a lot of cap space and compensatory picks coming their way to supplement their draft, the Cowboys front office can make significant strides this offseason to put their team in position to contend again in 2019.